A draft executive order prepared for President Donald Trump would suspend visas for refugees from certain countries. Here’s a story from the Hechinger archives about the “lost generation” of refugees who are languishing in red tape as they seek to resume their college educations in the U.S.
As our story points out, one of the 19 hijackers involved in the Sept. 11, 2001, attacks came into the country on a student visa, though he never showed up for the English-language course in which he had enrolled. Because of subsequent changes in the law, however, a foreign student who arrived in the U.S. but never showed up to class would now trigger an alarm. For that, he’ll need a student visa from the U.S. embassy, however. Deep beneath the surface of a massive refugee crisis that’s the worst since World War II is the less well understood reality that tens of thousands of university students leaving Syria and other countries have had their educations interrupted — educations needed for those nations to rebuild if and when the conflicts in them end. That could prove a problem for the United States and other western powers, said Richard LeBaron, former U.S. ambassador to Kuwait and now a senior fellow at the Atlantic Council, a nonpartisan international affairs think tank. Yet barely 1 percent of college-age refugees are in university courses, compared to the global average of 34 percent, the Institute of International Education, or IIE, estimates. In Syria alone, from which 4.8 million people have now fled, an estimated 210,000 students were enrolled in college when the civil war began. Only 1.4 percent of worldwide humanitarian aid goes to education of any kind, according to the United Nations Educational, Scientific, and Cultural Organization, or UNESCO. Many university-age refugees want to study in the United States, but only a tiny handful has succeeded. To get a student visa, which is different from permission to immigrate, they need to prove that they can speak English, have been accepted to a U.S. university or college and can cover all their costs. They also have to promise that, after receiving their degrees, they’ll go back to their home countries — something difficult for people from a place like Syria to credibly claim. Barely 1 percent of college-age refugees are in university courses, compared to the global average of 34 percent. 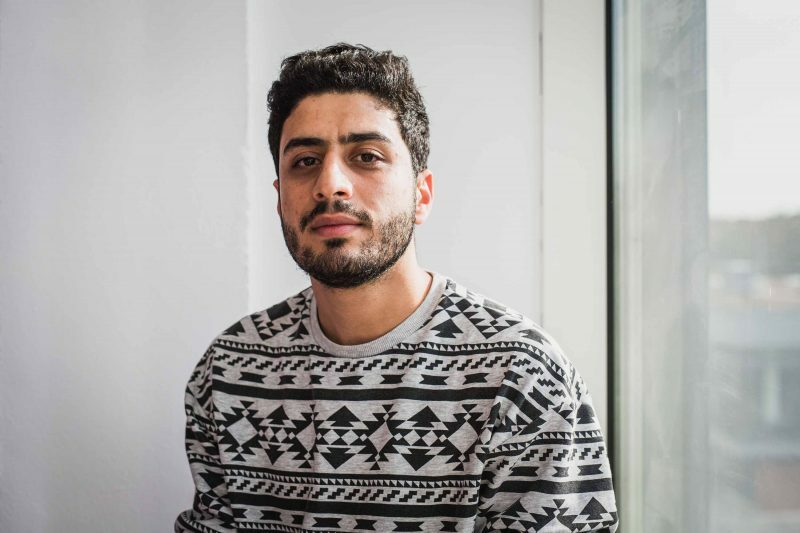 “You go to the [U.S.] embassy, they see ‘Syrian,’ and they just say no,” said Abdulhamid Kouko, who had already earned a bachelor’s degree in electrical engineering by the time he left Aleppo for an arduous trek to Germany that included a brief imprisonment in the Czech Republic. Now he’s found he needs a western university degree to get a job as an engineer, and wants to study in the United States for that. That doesn’t change the fact that visa law “is the opposite of American jurisprudence,” said LeBaron, who at an early time in his career was a visa officer. “You’re guilty until you’re proven innocent. Any applicant for a visa, especially a student visa, is presumed to be an intending immigrant” and has to prove a negative — that he or she won’t stay in the United States after the visa has expired. “That’s doubly difficult if you’re coming from a conflict zone,” LeBaron said. Nor is there much practical incentive for American colleges to take such people. On the contrary, refugees require scarce financial aid when most other international students pay the highest possible price. They also risk damaging an institution’s reputation — and its ability to bring in those full-tuition-paying foreign students — if they overstay their visas. Then there’s political resistance that has included Republican presidential nominee Donald Trump’s call for a ban on admitting Muslims. Student visas account for 6 percent of all visas issued by the United States. 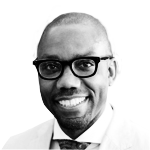 One of the 19 hijackers involved in the Sept. 11, 2001, attacks came into the country on a student visa, though he never showed up for the English-language course in which he had enrolled — something that, because of subsequent changes in the law, would now trigger an alarm. It’s not known how many students overstay their U.S. visas, Alan Bersin, assistant secretary for international affairs at the Department of Homeland Security, told a congressional hearing earlier this year. The result is that, of nearly 1 million international students taken in by U.S. universities and colleges during the 2014-2015 academic year, the most recent period for which figures are available, only 792 were Syrian, the IIE reports. Another 1,727 came from Iraq, and 1,578 from Libya. That compares to more than 300,000 from China and 59,945 from Saudi Arabia, almost all of whom could pay the full tuition and, in some cases, an additional foreign-student stipend. There’s no shortage of prospective students for the few opportunities available. 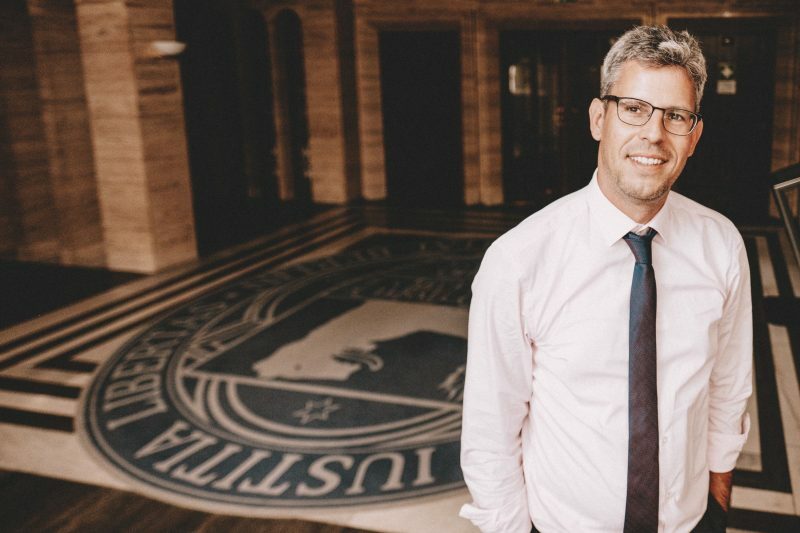 A private fund supporting Syrians to study in the United States, called Jusoor, or “bridge,” for instance, has gotten about 100 applicants for each of the 158 scholarship it’s awarded over the last four years, its executive director says. A new scholarship it offered for Syrian women attending U.S. universities this year placed only nine. The number of Syrian applicants for the UK government’s Chevening Scholarships, to study in another popular destination, Britain, exceeded 1,200 for eight spots. 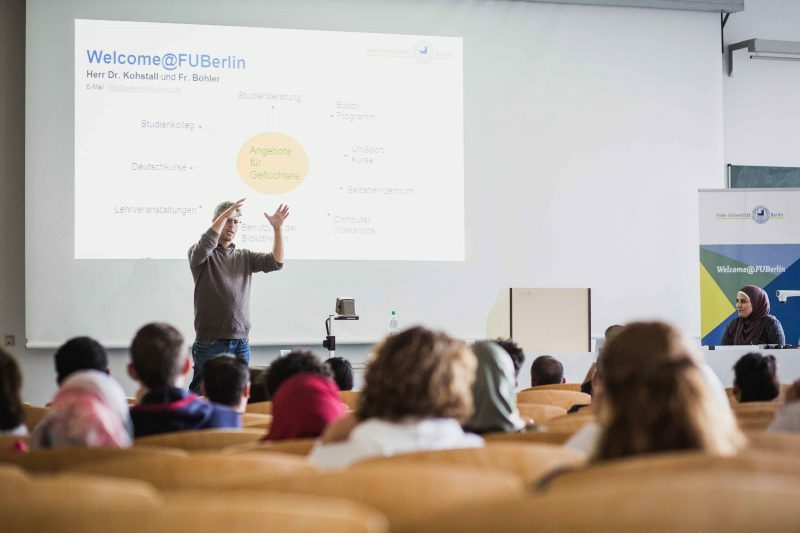 This desire for higher education among the world’s growing number of refugees and asylum-seekers is on full display in the high-ceilinged auditorium to which Al Aas has come for his orientation session in one of the flat-roofed, low-rise campus buildings distinguished only by the letters of the alphabet that serve as their names, at Freie Universität Berlin. The presentation is in German, meant for Al Aas and others like him who have already finished a year of language study. Another, right after it, will be in English. Of nearly 1 million international students taken in by U.S. universities and colleges, 693 were Syrian. The students respond, in fluent German, with stories of their bureaucratic difficulties, provoking knowing laughter from the others in the room. One asks for more information about the psychological counseling offered, which covers stress, depression and homesickness. The exasperation in their voices transcends any language barrier. Five and a half years after the start of the Syrian civil war, some efforts are under way to help displaced university students resume their educations. IIE has announced a $1 million fund to pay the living expenses of up to 65 Syrian students to study at U.S. universities, paid for by philanthropies including the Carnegie Corporation of New York and the John D. and Catherine T. MacArthur Foundation. The organization has also given 141 emergency grants to Syrian students already here, a spokeswoman said. “The best answer is probably not trying to fly everybody over to the States. It’s not affordable. It can’t happen,” said Brenda Tooley, director of global studies at Knox College, which is offering full-tuition scholarships to two Syrian students who will begin in January. The online California-based nonprofit University of the People, founded by an Israeli entrepreneur, has given scholarships, underwritten by two Swiss foundations, to 500 Syrian refugees and to Syrians still in the country but displaced by the war, a spokeswoman said. The scholarships cover the $4,000 cost — for examinations used to prove what students learn, the university says — of a four-year degree in business administration, health science or computer science. There were 2,000 applicants, the spokeswoman, Sarah Vanunu, said. Since refugees don’t necessarily have access to, or can’t afford, the tests through which conventional universities require that they prove fluency in English, University of the People offers free English instruction online; if they pass that, the students can continue on. And if they don’t have academic transcripts or documents such as high school diplomas, they can take foundation courses to prove they’re ready for admission. University of the People is also trying to raise $50 million for a spinoff to be run by and for Syrian refugees called Arabic UoPeople, said Vanunu. She said it would accommodate 12,000 students. 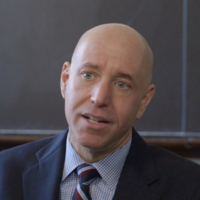 A Harvard study, however, showed that people who enroll in MOOCs intending to earn degrees finish at a higher rate, of 22 percent. 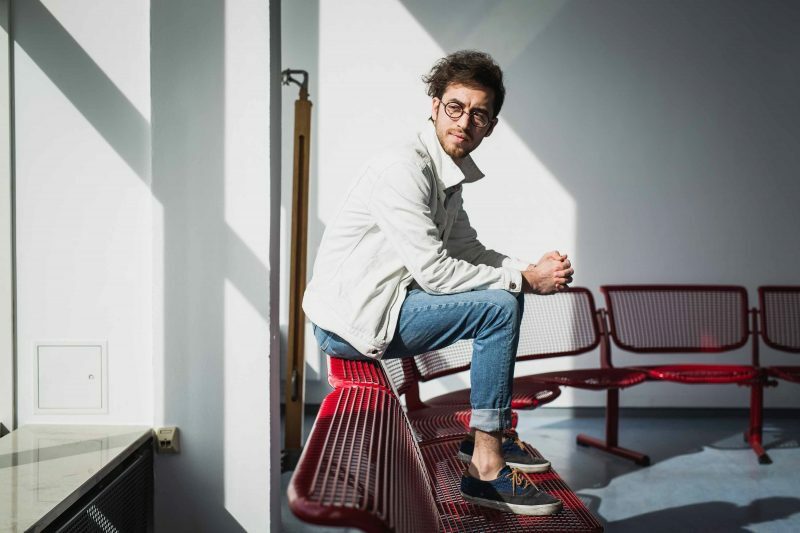 In a German pilot program this year, in which a single online course was provided to 1,200 refugees — the subject was how to apply for admission to a conventional German university — about 250, or 21 percent, finished, said Felix Seyfarth, a research associate at the University of St. Gallen in Switzerland, who evaluated it. There are already shortages in Germany of engineers, IT specialists and health care specialists, according to the Ministry for Economic Affairs and Energy. In the United States, immigrants are 30 percent more likely to start businesses than nonimmigrants, the Small Business Administration reports, and own 18 percent of all small businesses. 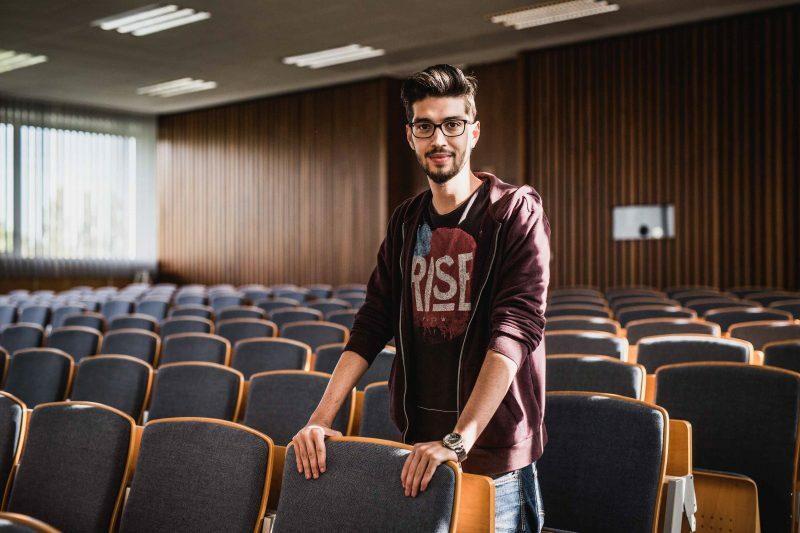 Now he plans to stay in Germany and study here toward a master’s and ultimately a doctoral degree in computer programming. Some U.S. universities, in addition to Evansville and Knox, are offering full scholarships to Syrians, including Harvard, Brown, NYU, Northeastern and the University of New Mexico, said Maya Alkateb-Chami, director of Jusoor. But more need to step up, said Amos.